Are you in the market for a vehicle with 3rd row seating? But you are on the fence because you may not have enough kids to fill all the seats. Maybe you need more room to haul your child’s hockey gear or does your partner have a hobby that requires them to haul tools and gear, a 3rd row vehicle would meet the bill. Vehicles with 3rd row seating are also great for those who want a truck but love the fuel efficiency of a sedan. Vehicles with 3rd row seating have a variety of options such as rear entertainment, captains chairs, a backup camera and much more! Don’t be fooled, these vehicles are strong enough to haul more than you could imagine. So yes, you can bring the kids bikes and kayaks! P.S. there is room for Fido too! 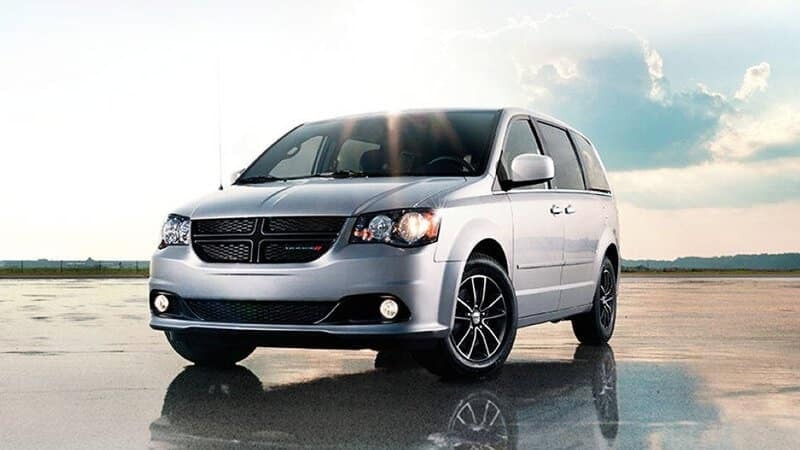 Our list of 7 vehicles with 3rd row seating is guaranteed to make traveling fun! Comes in two options AWD for those who want a little extra grip when the snow falls or FWD. The FWD is a more affordable option if you are looking more for the extra space. 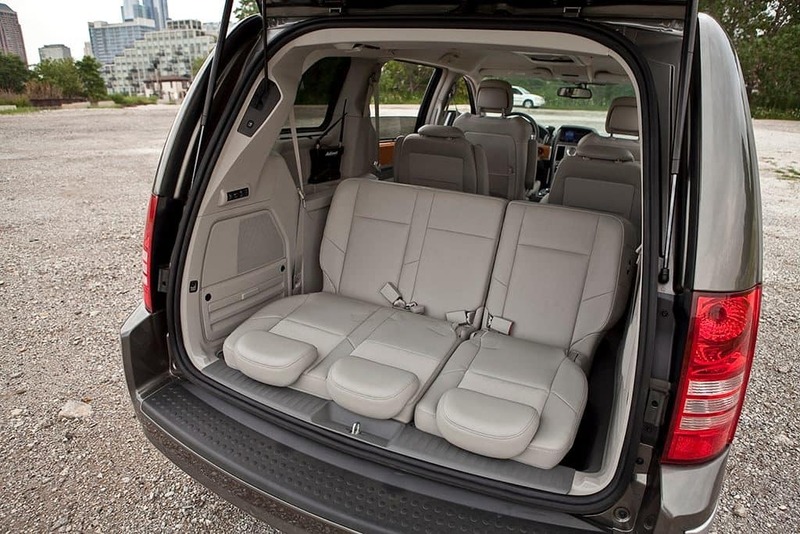 This mid-sized SUV comes with either a second-row bench seating or second-row captains chair. The second-row captains seating is recommended if you have little ones, this makes it easier to install car seats. 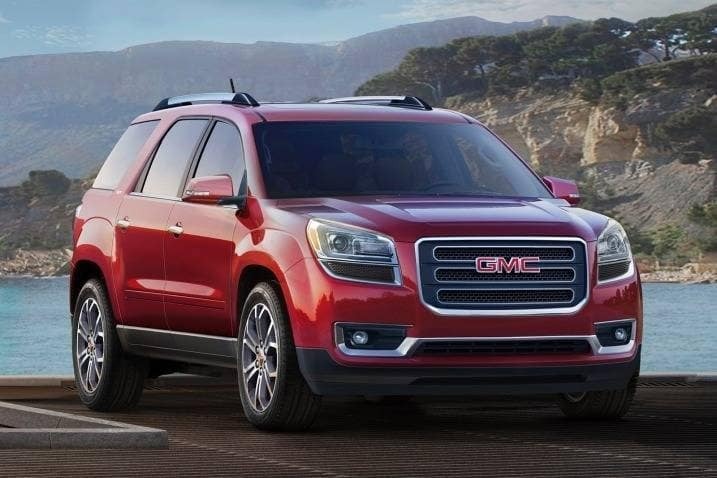 Added benefits of the Acadia, it allows rear passengers to have more control over their temperature! Why we love this vehicle with third-row seating: rear entertainment, leather seating, heated seats, power liftgate, safety package, dual sunroof. The newly designed Chrysler has us even falling in love with it. The stow and go seating is great for even bigger hauls! 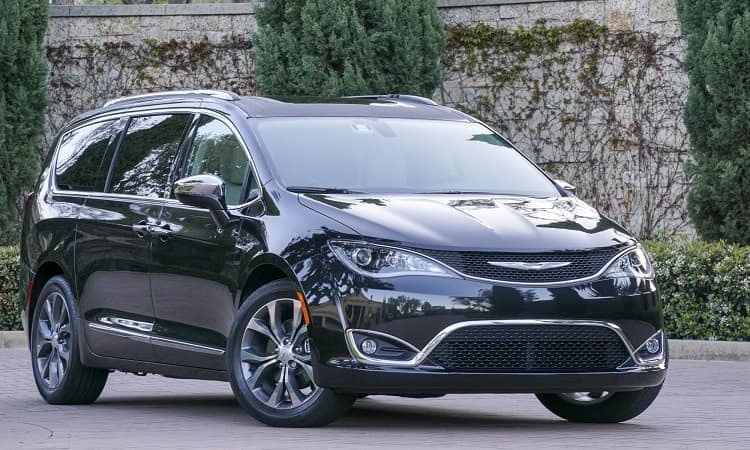 If you are looking to splurge on extras; but don’t want to break your budget, you may want to consider the Pacifica. Additionally, it is available as a plug-in hybrid. Even though the Pacifica still doesn’t come with AWD, slab on snow tires and you will be good to go! 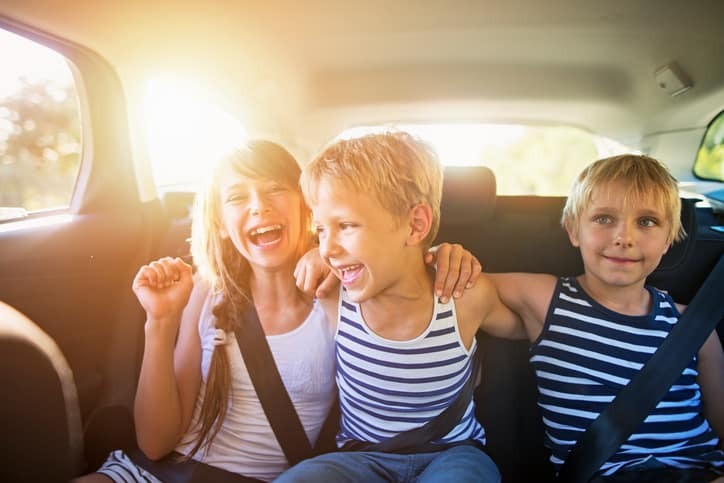 The Uconnect entertainment system will keep the little ones entertained while driving across town! This entertainment system has a touchscreen, no worries it comes with a remote too! It has 9 built-in apps, one of our favorites is “Are We There Yet.” This app communicates with the navigation system and shows users how far away you are from your destination! It can play content independently, but if you want to connect them you are able to! Why we love this vehicle with third-row seating: heated seats, blind spot monitor, navigation, rear cross path detection, wifi capable and power sliding doors. Stylish 7 passenger SUV. All of the other parents will be super jealous when they see you pull up with this show stopper! No more struggling to find keys, as long as they are on your person you can even start your vehicle with a push of a button. 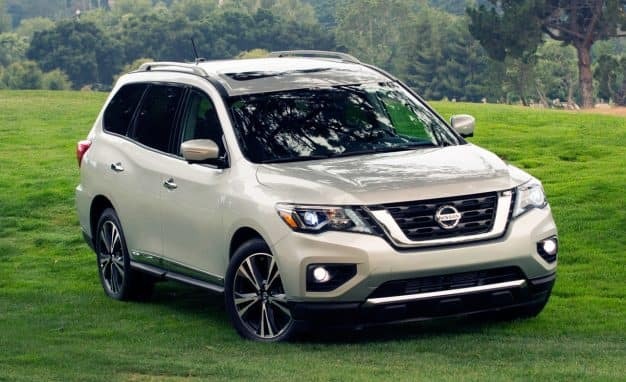 Families love the Pathfinder because it comes with top-notch safety options: intelligent cruise control, rear cross traffic alert and blind spot warning. Nissan’s Latch and Glide technology make it easy for passengers to access the third row. With this technology, the car seat is still able to be secured to the seat while passengers are able to access the third row. Why we love this vehicle with third-row seating: tri-zone entertainment, second-row heated seats, 4WD lock system & panoramic roof! Love being organized? The caravan goes above and beyond to make sure you can pack what you need and be comfortable at the same time. Here is where you can store all of your goodies: overhead, in-floor & front seat bins! The observation mirror makes sure you can keep an eye on the kids without turning your neck. At 25 highway MPG, you are sure to save some dough! Does your family love tailgating or going to the drive-in? Then this van is perfect for you, no need to haul extra lawn chairs! When you pop open the trunk, just flip over the third-row seats into the tailgate position! Why we love this vehicle with third-row seating: sunshades, blind spot monitor, rear cross path detection, and rear entertainment system. 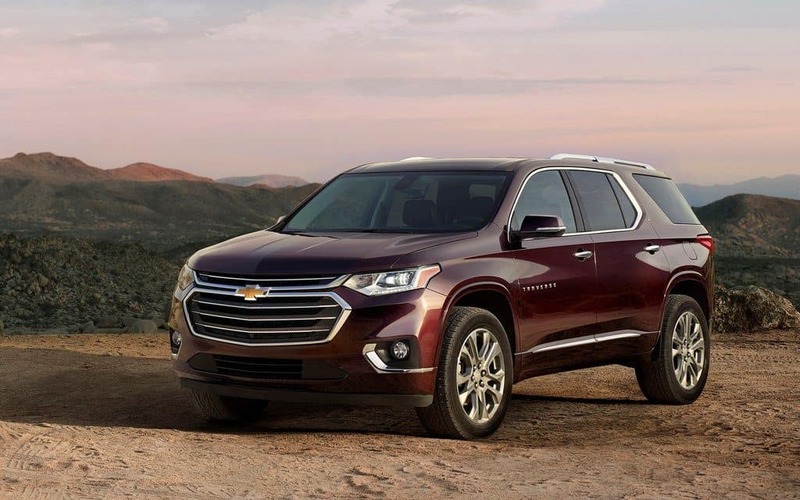 We are swooning over the makeover of the Traverse! Chevrolet has done a great job with their added safety features: forward collision alert, front pedestrian braking, lane keep assist with lane departure warning, lane change alert with side blind zone area and rear cross traffic alert. My Chevrolet Mobile App keeps you connect to your vehicle! The smart slide seat allows for easy breezy access to the third row, even if there is a car seat in the second row! Want to hide some goodies? Behind the display screen, there is storage, you can lock it by simply entering a four-digit pin! Why we love this vehicle with third-row seating: wifi capability, hands-free gesture liftgate, rear seat reminder, traction mode select! Woot Woot! Look at this new facelift! Toyota knows how to keep looking more modern! Because the Sienna does have AWD as an option, it is perfect for Upstate NY’s blizzard conditions! We love this third-row vehicle because it comes with Toyota Safety Sense! Toyota Safety Sense: Standard lane departure alert with steering assist, standard radar cruise control, a standard pre-collision system with pedestrian detection and standard automatic high beams. Do you end up finding yourself with hands full of goodies? Toyota’s smart key system has you covered, it’s a system that allows you to enter the vehicle with a touch of a handle, no more fumbling with keys! Ever run into communication problems in your current third-row vehicle? 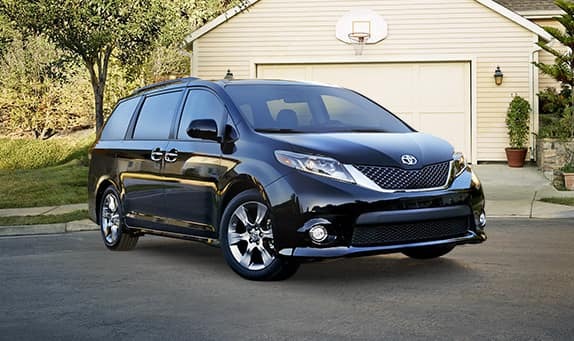 The Sienna has Driver Easy Speak Intercom, this system allows the driver to chat with passengers in the rear seat. Are your passengers constantly complaining about being too hot or too cold? This vehicle is loaded up with three separate climate controls so that everyone can be comfortable! Why we love this vehicle with third-row seating: split and stow third-row, wifi capable, dual moonroof, etune app suite and dual view blue ray player. The newly re-designed pilot gets 18 city/25 highway mpg, more fuel efficient then later models. Driver’s can appreciate the large display screen! Honda’s Satellite-Linked Navigation System gives driver’s a three-dimensional rendering of buildings, terrain and road signs. One-touch second-row seats move forward with a touch of a button, making it easier for passengers to access the third-row. Does your family love playing video games or reading on a device? The Pilot doesn’t disappoint it comes with: multiple USB ports, aux jacks for headphones, 115-volt power outlet, and HDMI for gaming! 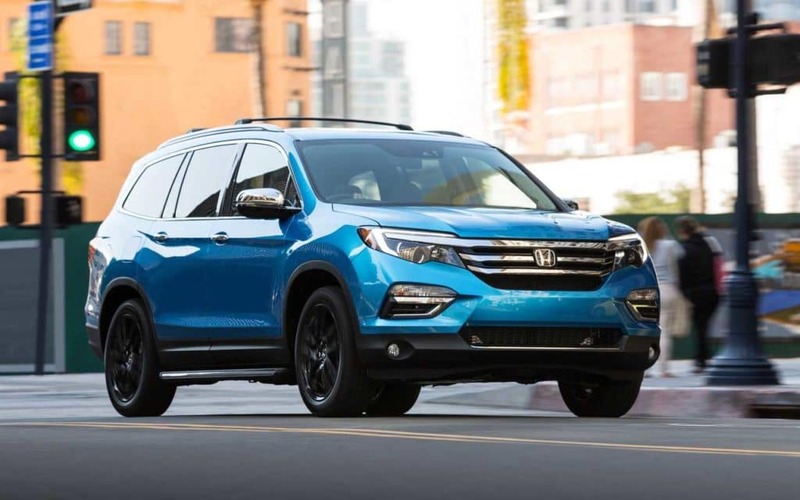 Why we love this vehicle with third-row seating: dual moonroof configuration, HondaLink, second and third-row seats fold flat for hauling. Vehicles with 3rd row seating are versatile and meet a variety of needs that you and your family may have. Ask your friends who already own a vehicle with 3rd row seating. These vehicles are a great investment because of their high trade-in value.